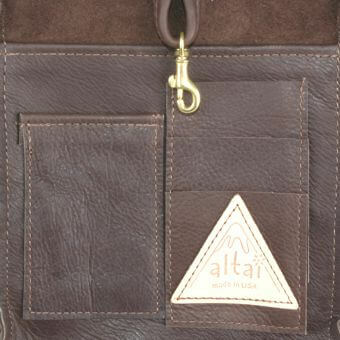 Drop Length: Adjustable 21" to 23 1/2" What is drop length? 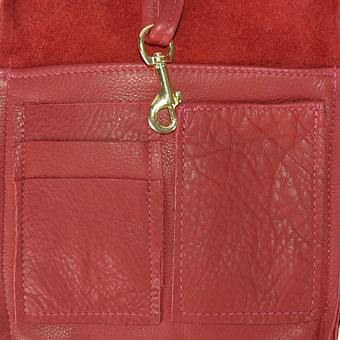 No more lost items on the bottom of your purse. 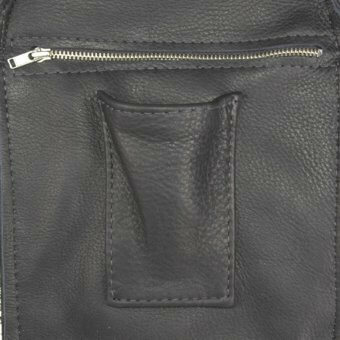 Our casual convenient Travel Bag is made with a zippered opening across the top and down one side for easy access to your essentials. 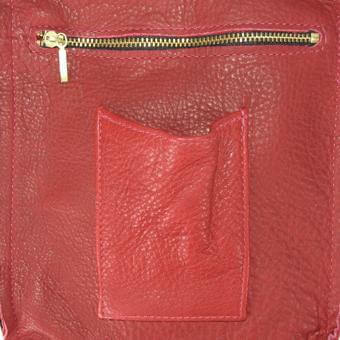 Outside is a large open pocket. 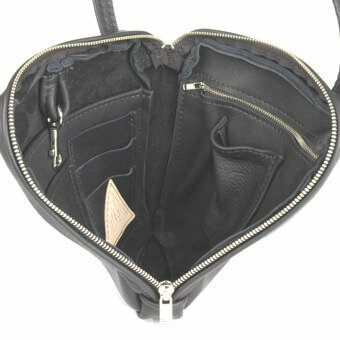 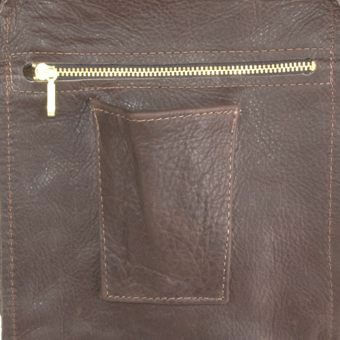 Inside, on one side, is a large zippered pocket with a drop in pocket. 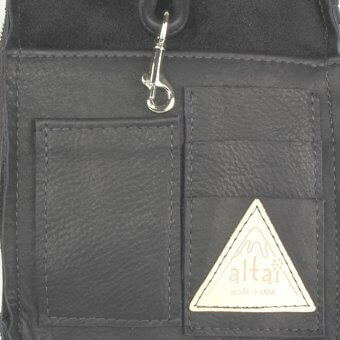 The other side includes a large slide in pocket, ID and credit card pockets, a narrow pen pocket, and a key ring clip in holder. 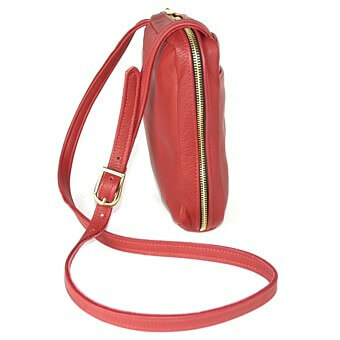 The center is roomy enough to hold a wallet and other large items. 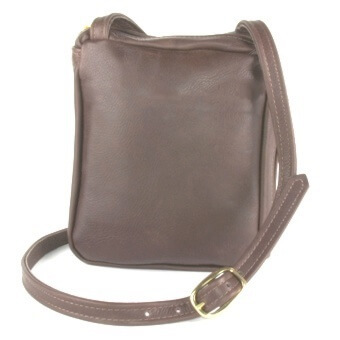 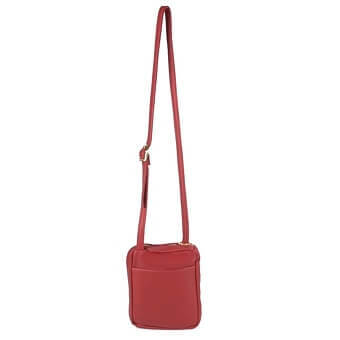 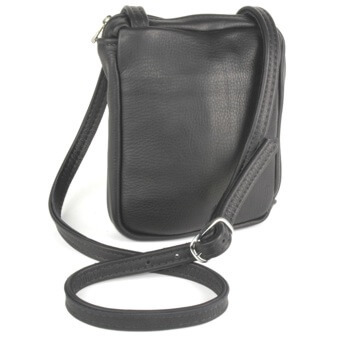 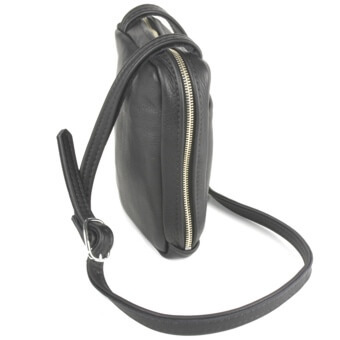 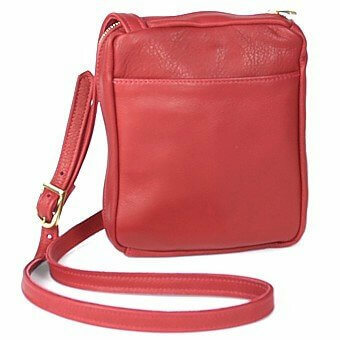 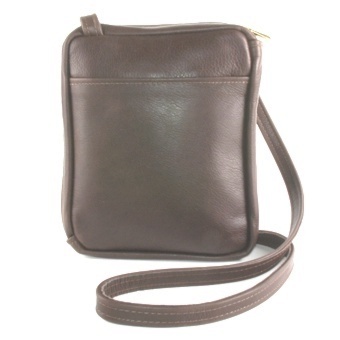 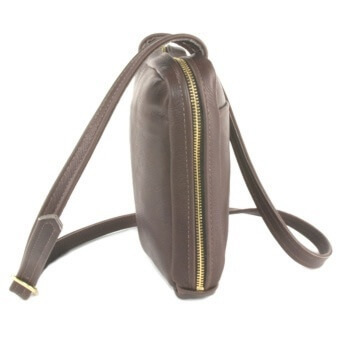 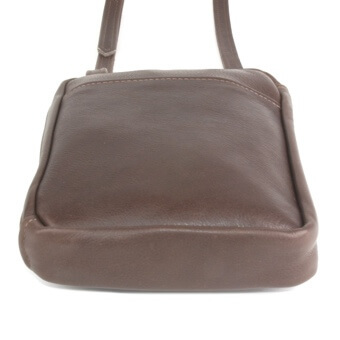 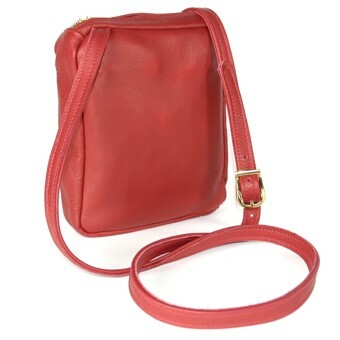 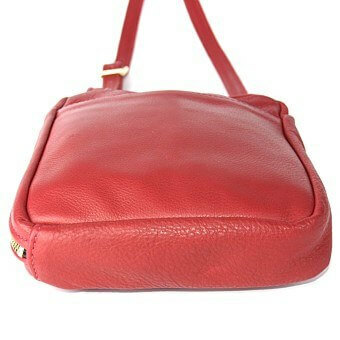 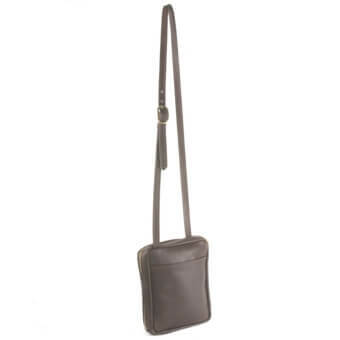 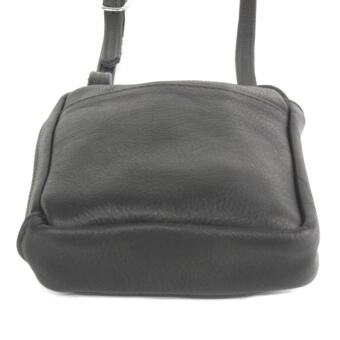 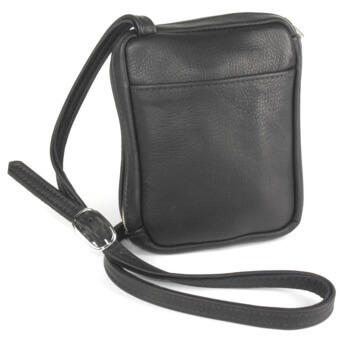 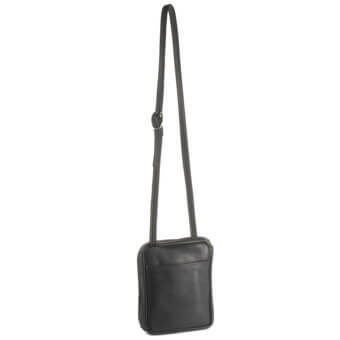 The strap is 3/4" wide and has an adjustable cross body strap length of 21" to 23.5" long.